In a surprising move, both Apple and Samsung have decided to drop the lawsuits between themselves outside the US. The companies haven't signed any licensing agreement, though, and the lawsuits within the US shall continue. 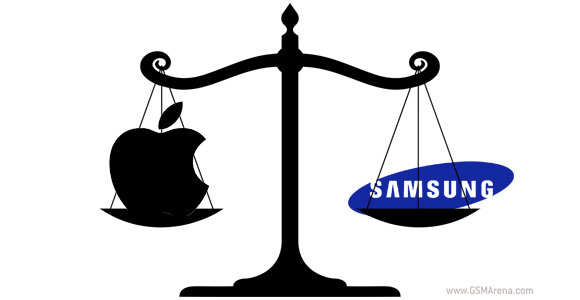 The Apple vs. Samsung legal battles have been going on for the past few years now, with both companies trading blows. Apple have had the most luck so far, winning over $1 billion dollars in the first trial, a figure which was later reduced. Samsung also managed to get some dirt on Apple, as both companies had infringed some patents of the other, but couldn't get anywhere close to the sort of amount Apple managed to win. The decision affects lawsuits in countries such as Australia, Italy, Germany, France, Japan, Netherlands, South Korea, and the UK, where Apple has occasionally been less lucky as it had in the US. It remains to be seen how long the US legal disputes will continue, before the two companies decided to wrap that up as well and move on for good.